Only 10 Rooms Left for PFI Annual Conference! Only One Week Left till the PFI Annual Conference! Stowe has been a destination for world travelers for well over a century. The alpine style of the lodge reflects the beauty of the green mountains and rolling hills. Having opened in June 2008, Stowe Mountain Lodge sets a new standard of luxury and aesthetics for the East Coast's most magnificent resort. 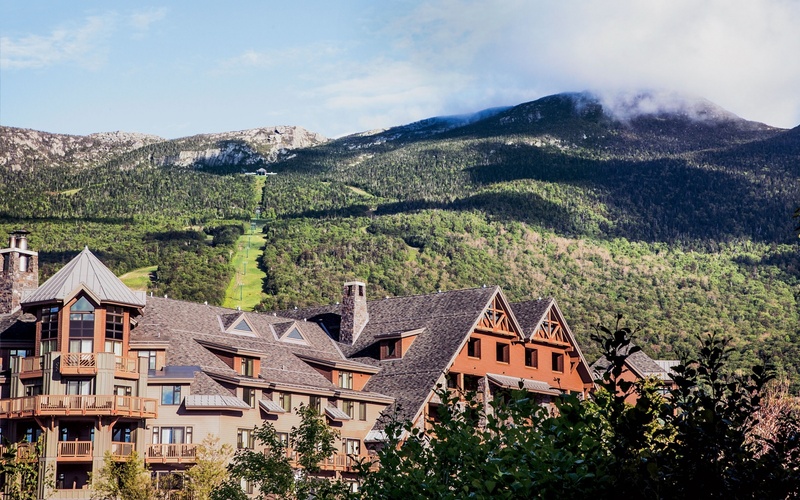 Built at the base of Stowe Mountain Resort, in the new "Vermont-Alpine" style, Stowe Mountain Lodge offers a truly luxurious setting while still paying respect to the Vermont traditions of utilizing local artisan products and embracing the tranquility of nature. We can't wait to see you this July in Stowe! Sign up today to secure your spot. Discussion of tax extenders, including our pellet stove credit within Sec. 25C, has been shelved for the first half of 2017. With a new Administration highlighting comprehensive tax reform as a key agenda item and House Republican leadership echoing the same, there has been little appetite for discussing extending tax credits that have lapsed. That dynamic maybe changing, however, as progress on comprehensive tax reform proposals has stalled and indications are that there may be interest in moving a tax extenders package sometime in the 3rd or 4th quarter. PFI will be making the rounds on Capitol Hill to ensure that there is broad support for our stove credit if and when a tax extenders push is initiated. A key item that we are lobbying to have added to any tax extension bill is the Biomass Thermal Utilization Act of 2017, also known as the BTU Act, which was introduced (S. 1480 and H.R. 3161) in June. The bills are the same as last Congress, affording a 30 percent investment tax credit (of total installed cost) for purchases of high efficiency biomass heating systems at both the residential and commercial levels. Senators King (I-ME) and Collins (R-ME) are the leads in the Senate, while Representatives Welch (D-VT) and Kelly (R-PA) are the leads in the House. Rep. Kelly's leadership on this bill is significant as he sits on the influential Ways & Means Committee where all tax legislation is considered. The BTU Act is being supported by new groups of allies, including the wood products sector. Flooring mills and other hard and softwood facilities are encountering an emerging crisis as piles of residuals-that had been destined for pellet mills or pulp and paper facilities-continue to grow at their manufacturing sites. That sector views this legislation as a way to stimulate demand for the domestic pellet industry, thereby increasing markets for sawdust. Both the Hardwood Federation and the Southeastern Lumber Manufacturers Association-two organizations that have lobbyists and political action committees--are actively lobbying for enactment of the bill. In addition to these two groups, the Biomass Power Association has also signed up to lobby for enactment of this bill. Power facilities believe that the heat they generate on site can be captured and used, thereby qualifying for the credit. Also the National Wildlife Federation sent a letter to every Member of Congress urging support for this bill. NWF sees the BTU Act as a positive for rural economic development and a productive means at stimulating markets for low-grade timber. Wednesday, October 18, marks the day for the Fifth Annual Bioenergy Day. With more than four months to go, there's plenty of time to decide how your organization will recognize the day, sharing with audiences old and new the many benefits of bioenergy. Join us for a planning call on Thursday, July 20, at 2pm EDT. Dial 207-805-8183 (no code) to join the conference. Michael Erwin had an idea and a business plan that won him first place in the Harrison Regional Chamber of Commerce's E-Ship University. The eight-week course for entrepreneurs ends with a business plan competition. Erwin had been mulling on the idea for at least a year before the classes. With a background in timber products, he wanted to see something productive done with the left over mulch and the sawdust. "We have 50,000 tons a year of sawdust - a raw material that is abundant." Residents of Navajo County get energy they can depend on, increased livestock forage and better hunting opportunities thanks to a partnership project that converts unwanted invasive plants into fuel for Arizona families. The Arizona Conservation Partnership Program organizes the removal of patches of pine and juniper on federal, state, county and private lands. The project is part of an agreement among members from federal, state, county and local agencies and private landowners with the Arizona Association of Conservation Districts to spare residents from wildland fire. The results were even better - with improved hunting and better grazing for livestock. Heavy equipment or hand crews are used to remove unwanted plants. The most recent area to benefit from the work is the Potato Wash allotment on Bureau of Land Management public land southwest of Holbrook. In May, the Biomass Power Association completed and released a yearlong study of the carbon emissions of biomass power. Working with two highly respected professors, Madhu Khanna with the University of Illinois and Puneet Dwivedi with the University of Georgia, we analyzed the carbon emissions of one 50-MW facility in New Hampshire. Because natural gas is often touted as a cleaner baseload option than coal, we compared the results of biomass carbon emissions to those of a natural gas power facility. The results were decisive in proving the carbon benefits of biomass. In one year, the biomass-fueled power plant saved 115 percent of the carbon emissions of natural gas. Comparing the two fuel sources for 100 years, the carbon savings held steady at 98 percent, after taking into account the fuel needed to cut, chip and transport the fuel to a biomass facility.